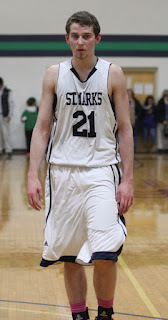 This week I chatted with 2012 Michigan basketball recruit Nik Stauskas. He's a very talented player that is rated very high by every major scouting service. Nik was nice enough to chat about his graduation, arriving on Michigan's campus, his summer training schedule, and that always fun NBA Playoffs. Hoke's Mad Magicians: There seems to be a lot of debate regarding the spelling of your first name. The athletic site has it as "Nik", but your Twitter has "Nick", and it varies depending on the site. Which do you prefer and any ideas why it varies so much? Nik Stauskas: My name is actually Nikolas, so it's spelled Nik. I used to like spelling it nick when I was younger so I guess people just got used to it. 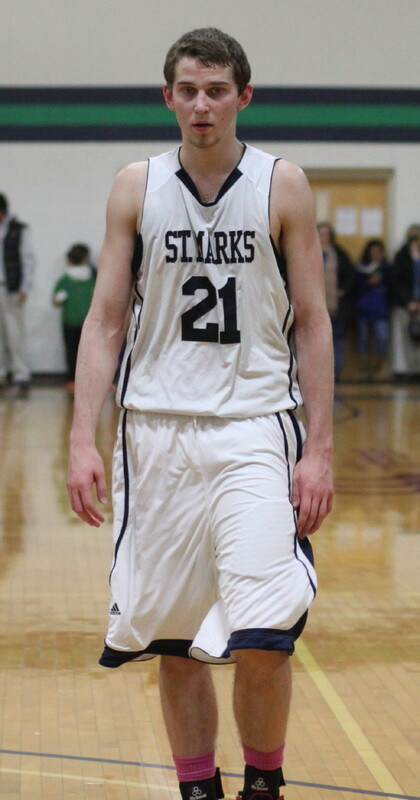 But this year when I signed my LOI, I signed it as Nik Stauskas so that's official spelling from now on. HMM: I know you're at the point where you'll be graduating shortly. What's something that you're going to miss about high school and what's something you're excited to experience in college? Stauskas: I'll definitely miss some of my friends from high school, but nothing else haha. I'm excited for meeting new people when I get to Michigan and living the college life style. I've heard a lot of good things about the Michigan campus, so I'm sure I'll have a lot of fun. HMM: Michigan's campus obviously has some great history and some things you won't find anywhere else. What Ann Arbor event or place are you looking forward to experiencing the most? Stauskas: I'm really excited to go to a lot of football games. I've never been a huge football fan, but the atmosphere is crazy and I know I'll have a great time. HMM: I'm sure you're familiar with Michigan's football team and tradition. I've seen/heard of basketball players attending the games. Are you looking forward to watching the football team and experiencing the Big House? 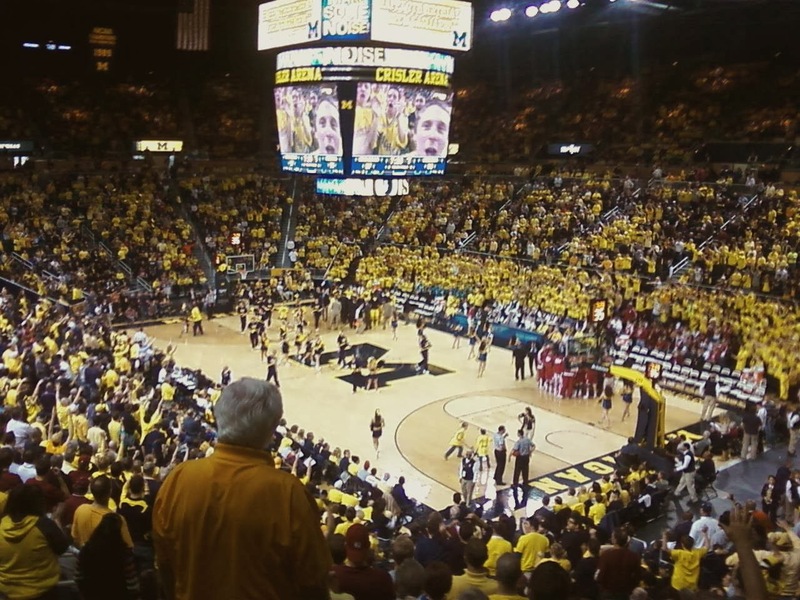 Stauskas: My answer above [Michigan football games/Big House] pretty much answers that one. I had a great time on my official visit when I watched them play San Diego State game, so I can't even imagine what it's going to be like against OSU or MSU. HMM: Michigan's basketball team has some exciting opponents scheduled for next year. Teams like North Carolina St, MSU, Indiana, and OSU. I'm sure you're excited for all of the games, but is there any specific opponent you're really looking forward to facing next year? Stauskas: Like you said, all of those games will be a lot of fun, but for some reason I'm really looking forward to playing in Indiana next year. First of all, they're predicted to be one of the best teams in the country next year and second of all Assembly Hall seems like a great atmosphere to play in. HMM: A lot has been made of some player's summer work-outs and how it prepared them for their freshman seasons. I know there was a lot of talk about Trey Burke's workouts. Is there anything special you're planning for the summer to get off to a great start? Stauskas: I think the biggest thing for me this summer is just getting into the weight room. My skill workouts will probably continue to be the same as they've been for the last year. I take pride in my work ethic and I spend about 1-2 hours on shooting a day and 30-45 minutes of ball handling a day. As long as I continue to work the way I've been working, I think the sky is the limit. Stauskas: I'll be figuring that out really soon. Right now I'm thinking I might want to focus on sports management. HMM: Finally, let's get some predictions. Reading some your tweets, you seem to be a pretty big NBA fan. Any predictions for the playoffs this year? (I have the Heat beating the Thunder for the championship). Stauskas: We think alike. I have the exact same predictions. I'm the biggest heat fan there is, so I'll never admit that anyone can beat them! Thanks again to Nik for the great interview! He's sure to be a great addition to the Wolverines in many ways for years to come.